A web designer is someone who is both creative and technically inclined and uses both these attributes to build websites. 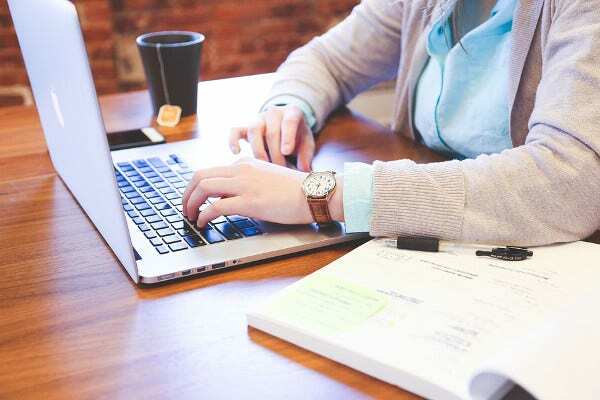 They work with graphics and images in order to develop websites for clients, and they need to possess excellent skills in graphic design and need to have a creative thought process to be able to do justice to the job. While this industry is relatively new, it is slowly gaining popularity in particular over the last decade as digital media has become a major part of many people’s lives. The majority of people rely on the web for communication, information, social life, and much more. The demand for web designers has been growing and the industry is now considered a stable one in relation to future growth. 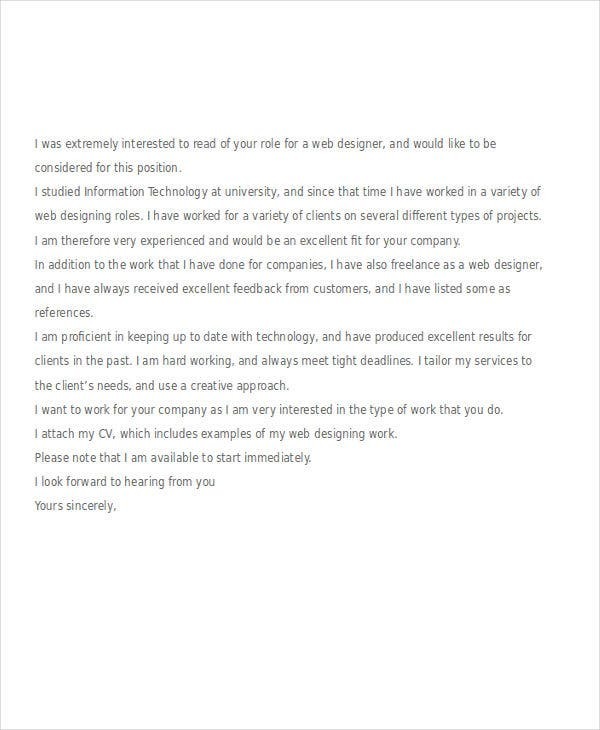 If you’re looking to tread the waters of Web design, check out these great samples of Job Application Letter Templates for Web designers. 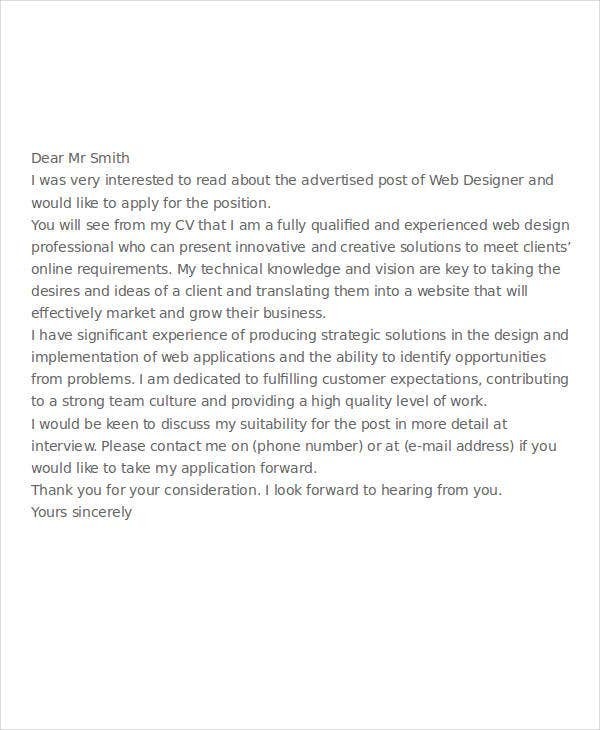 Review the position available and the requirements for the job. Analyze your skills and consider how your qualify for the position, and you may also make notes before you start writing. Design your letter with the date and your personal information in a prominent location. Be familiar with the people behind the company. Research the name and position of the individual who manages employment applications for the company by calling the office or checking the company’s website. Ask about any specific information needed in applying for the position. 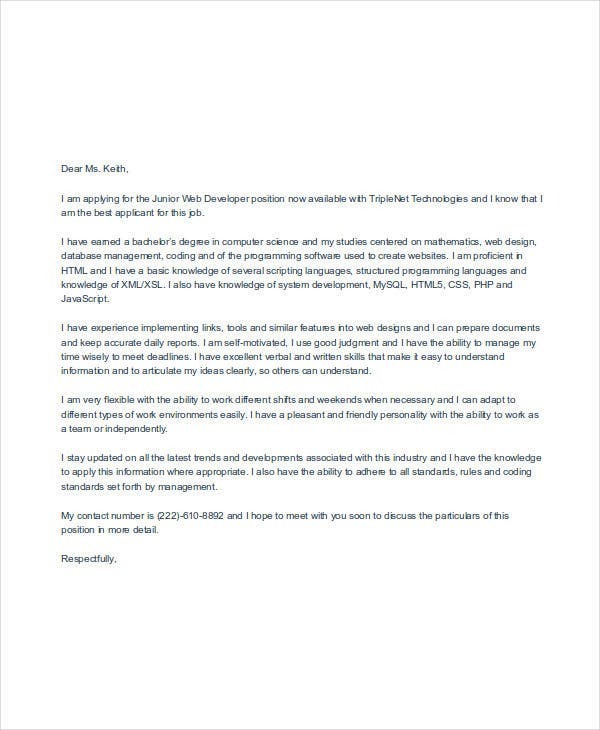 Address your cover letter to the individual with their correct title in the company. Grab the attention of the reader with a strong opening statement. 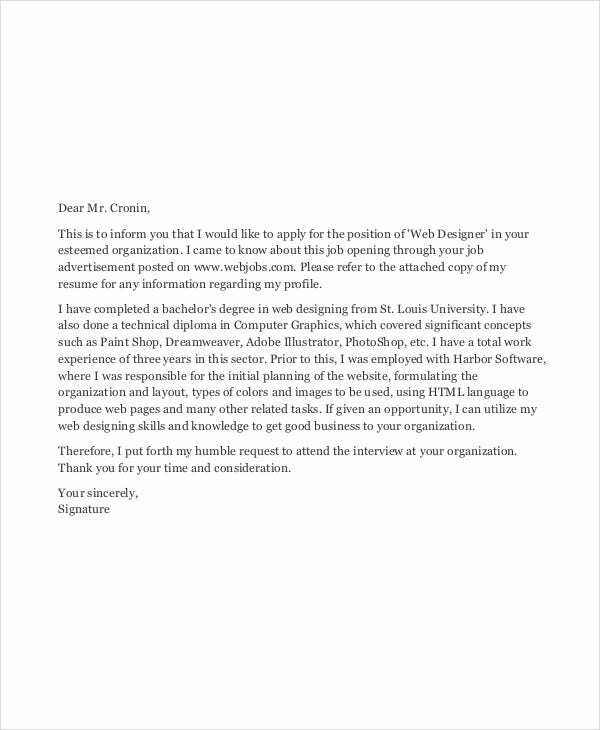 Start by talking about the position available or explain where you saw the job opening information and make a statement specific to the advertisement. 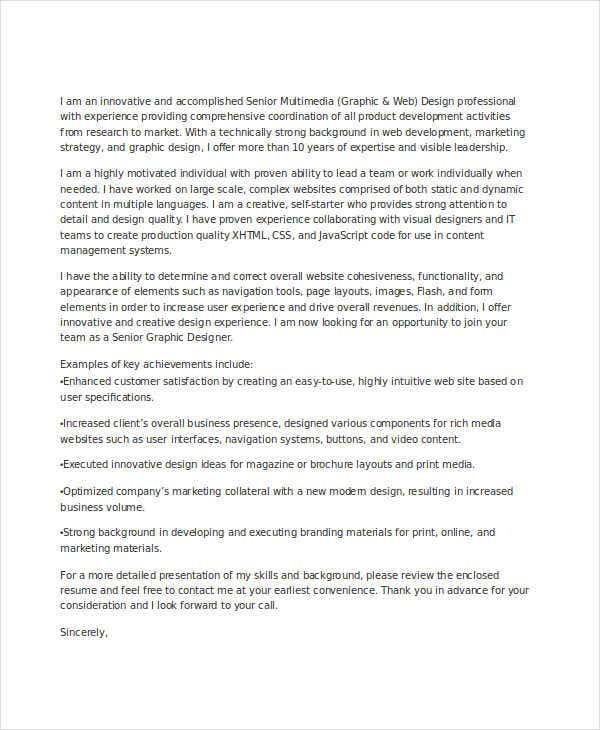 Enhance the quality of your letter. 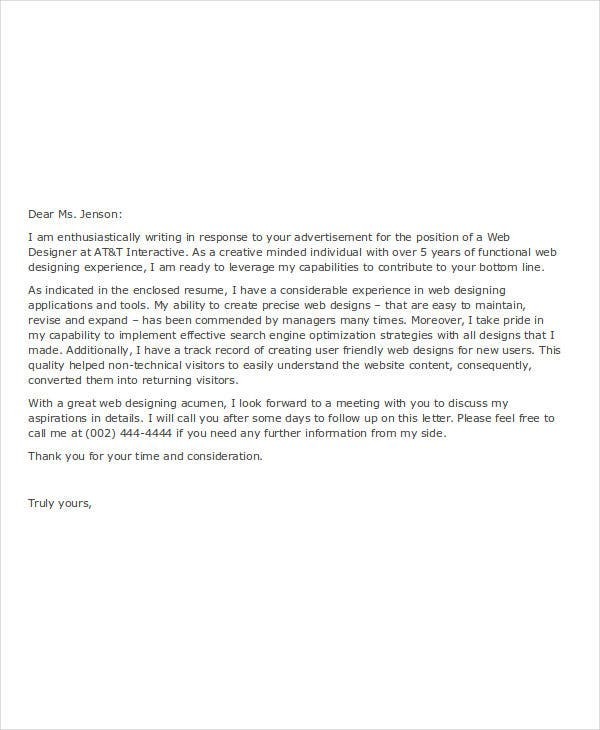 Create interest in yourself with the second part of your cover letter. Explain how your experience and education applies to the company and the position. Refer to websites you’ve designed with links to the sites or to specific pages that are representative of your work. Close the letter professionally. Request for an interview appointment and give your contact details in the cover letter in the event someone separates it from the resume. Complete your letter with a salutation such as “Sincerely” or “Very Truly Yours” and your name, with space for you to sign it in black ink. These templates were selected from among the best ones on the internet and were written by knowledgeable professionals. Downloading these templates is easy and you can do so for free. You can also choose to save these in different formats such as Doc, Docx, or PDF. These templates are fully editable as long as you have the necessary software such as MS Office and Adobe Acrobat. However, you may be required to have a license version of Adobe Acrobat to be able to edit PDF templates. 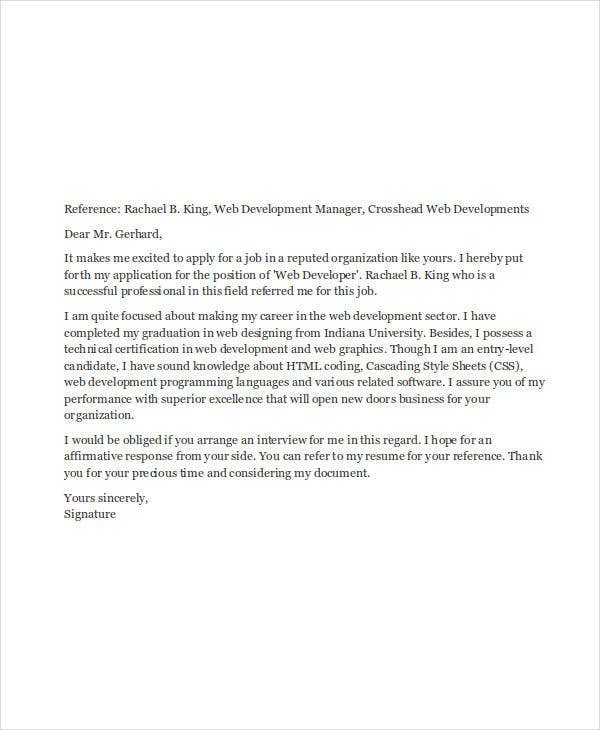 For even more letter templates, also check out our collection of more generic Employment Application Letters.